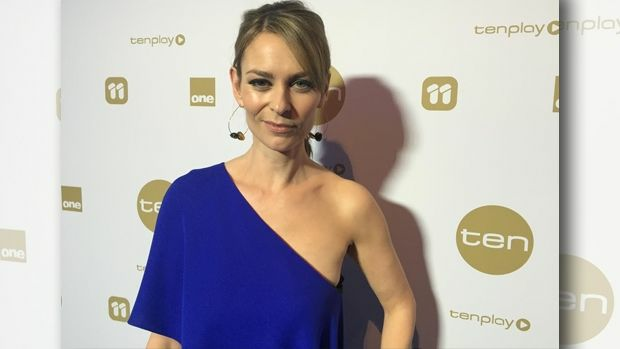 Donna Demaio Gossip Sheet – Chef..
Quote of the week: ?Thrilled I didn?t have to wait two years this time,?says Offspring?s Kat Stewart about the return of the Channel Ten series. Stewart says, ?Hopefully we can stay fresh. That?s always the challenge to make sure we don?t become the old kids on the block. And that we?re still telling interesting stories.? Stewart was joined by Neighbours cast members including Olympia Valance, Masterchef judges, newsreaders including Candice Wyatt and Stephen Quartermain and a selection of other Channel Ten personalities at the Upfronts launch for 2017 at Zinc, Federation Square. 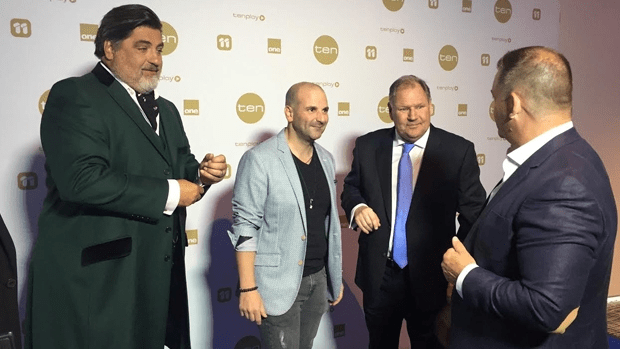 Lord Mayor Robert Doyle was spotted posing and chatting with the Masterchef boys – perhaps angling for a guest appearance? Who was amongst the first to congratulate Paulini Curuenavuli after she won the lead role in the upcoming Bodyguard musical? None other than her mate Timomatic.Both talented and successful artists rose to prominence after appearing on TV talent shows. Others to share the joy and congratulate the delightful star include Anthony Callea, Gretel Scarlett, Tim Campbell and Damian Leith. Spotted: Top chef Neil Perry wiping tables and collecting dirty dishes at Burger Project in the CBD. Rhonda Burchmore is back from her overseas jaunt to London but not before talk show extraordinaire Graham Norton attended her cabaret show at the St James theatre. She has the selfie to prove it and says he?s now a big fan. 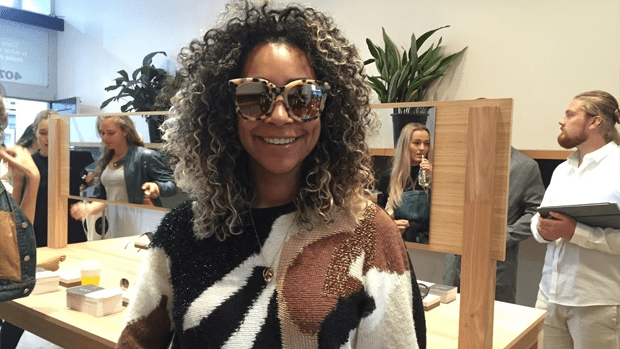 Fashionable crowds descended on a pop-up store in South Yarra for The 5th sunglasses at the weekend, including former Big Brother gal, musician and model Jazz Bell. She stunned in the sunnies (The 5th was also holding a casting call to find the stars of its new campaign) before telling me that working with the inimitable and inspiring Pam Barnes as part of the Family Feud family has been a dream come true. The team is back next year, buoyed by the quiz show?s Logie win this year. Whisper: Rob Mills returning to Melbourne in two weeks for a secret project. Let the guessing games begin. Does he know that co-incides with Paris Hilton being in town launching her new fragrance Gold Rush. Yes, there?s a big party planned for her. Just sayin?. Which marquee refused entry to prominent horse trainer Matt Cumani and his blonde guest on Oaks Day, leaving him looking a tad bewildered in the Birdcage. Cumani had a runner in the Melbourne Cup and had earlier mentioned he was looking forward to enjoying the atmosphere of Oaks Day when he wasn?t so busy. Hope he gained entry elsewhere! Which marquee refused entry to Getaway presenter Catriona Rowntree despite the popular traveller being strongly associated with the brand? Rowntree remained polite but was stunned when unable to say hi to friends and colleagues. 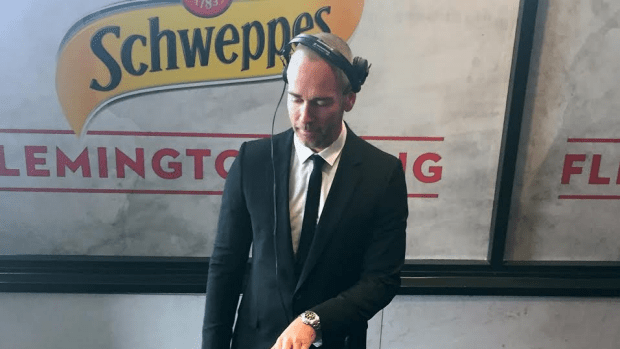 He?s back in LA already but DJ Grant Smillie managed several gigs trackside at a selection of marquees including Schweppes. Smillie has big plans for 2017, building on his successful EP& LP restaurant bar in West Hollywood that?s hosted the likes of Gerard Butler, Al Pacino and Matt Damon. Evidently quite partial to pearls, actor and director Rachel Griffiths was spotted wearing some stunning Autore pearl earrings plucked on request from the fancy showcase in the Emirates Marquee which housed hundreds of thousands of dollars worth of jewels during the Carnival. Yes, there was a security guard in place to make sure all the jewels, loaned or otherwise, were safe. 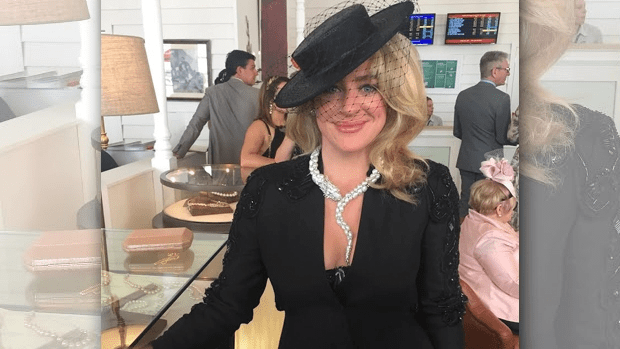 Griffiths was also spotted zipping around Flemington, filming her Michelle Payne biopic at the track.Stylish MKR star Ash Pollard was also heard admiring the stunning jewels. Charity of the week: Marking 29 years, the Kmart annual wishing tree appeal starts on November 14th, supporting Mission Australia and The Salvation Army. It?s about thinking of others and sharing gifts with those who otherwise would have nothing to open at Christmas time.Such a tremendous and caring opportunity for community-minded people.